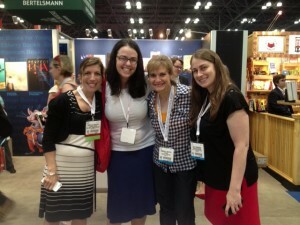 Last year I spent several days at BEA but this year I was only able to go down for the day. A day which started with my 8yo home from school. And if you know anything about me–that makes me crazy. Maybe I do have a little bit of a control freak streak that comes out from time to time. 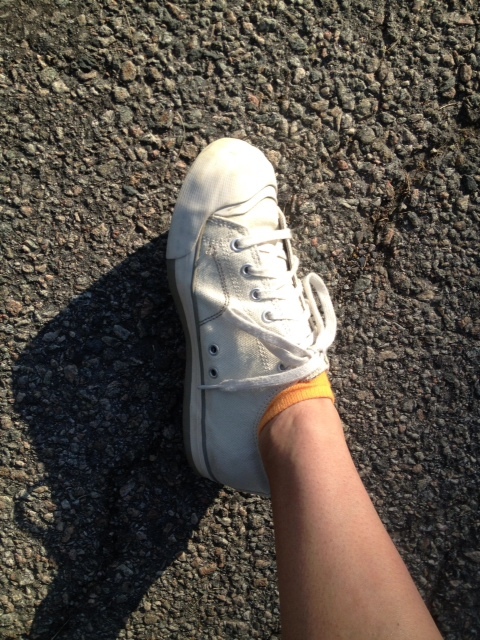 But my sitter (practically a big sister to my boys) was already lined up to hang with the 12 you for the day (he graduated to middle school the day before) so I decided to put on my fancy shoes and go anyway. I’m so glad I wore those comfy puppies on my feet and stashed my fancy shoes and top in my bag for the Simon & Schuster Pulse/Aladdin happy hour. Because the first thing I had to do when I hit NYC was wait in about a 20 person taxi line in the sweltering heat. OMG! Liked the Wicked Witch of the West–I was melting! This was when I only had 3 or 4 people in front of me and I was getting excited. LOL! 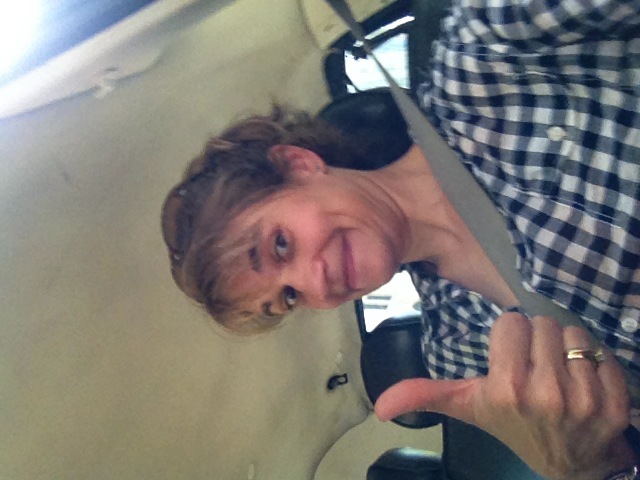 A sweaty but very happy me in the cab with air conditioning until…. My driver stopped at a red light, pulled out a book and started reading. 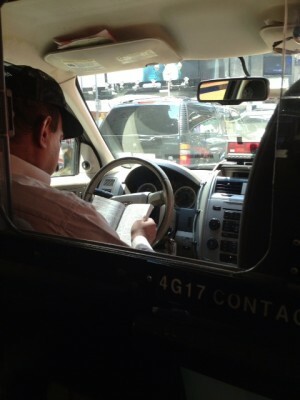 It was pointed out to me how cool it was that I was going to Book Expo America and my cab driver was reading. NO! Sorry, not cool. Even with air conditioning–not cool! Unless a new Harry Potter book comes out–then I’ll totally let you do it. But that’s it. But just like old times, Lisa and I went ARC hunting and we found OMG!!!! LAUREN MYRACLE!!!!!!! AND I HUGGED HER!!!!!! AND SHE IS MORE AWESOME IN REAL LIFE THAN ALL CAPS CAN REALLY EXPLAIN. 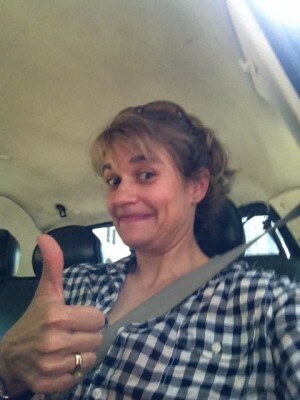 And of course I had lunch and hung out with the agent of awesome…MICHELLE WOLFSON!!!! One of my favorite things in the whole world. <3 I also got to finally meet my Wolf Pack Sistah, Jennifer Iacopelli, debut author of GAME. SET. MATCH. 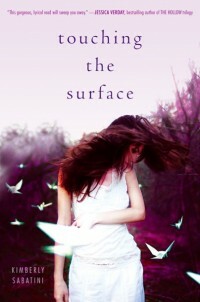 Which I started reading on the train ride home and LOVE!!!!! 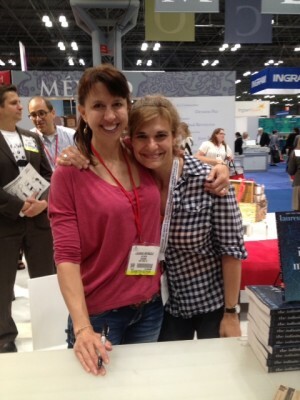 And I also ran into my local book buddy and friend Emily. There was more, a hazy hot blur of more. I actually ran into a lot more friends and met a bunch of amazing new people between BEA and the Pulse/Aladdin Happy Hour, but my phone battery!!!! The Javits Center eats battery bars for snacks, but on the bright side I met old and new friends while hanging at the charging station. LOL! So, what have I decided about BEA? I need less than three and a half days and just a little bit more than one. And on the bucket list…I plan on signing there at some point. And on that note–it’s back to work. PS I’d just like to add that I REALLY REALLY WANTED an ARC of FANGIRL by Rainbow Rowell. And I may have threatened to mug a young book blogger at the charging station, when she whipped out her copy. But I didn’t. So–there was that. What book from BEA would you have almost mugged a book blogger for? FUN!!! I am definitely going to have to go to BEA one of these years. I was kicking myself this weekend that I hadn’t signed up to go!! 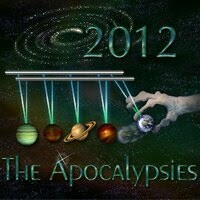 Thanks for the blog post–really enjoyed it. Wish I had been able to see you this weekend! 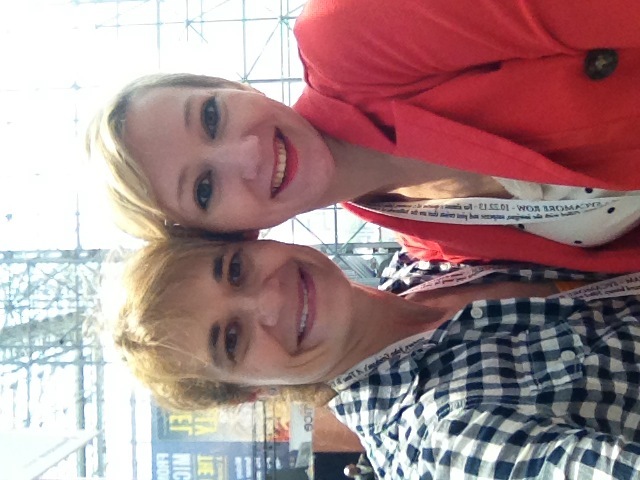 The one time I attended BEA (just for one day), the cell phone service was nearly nonexistent. Plus, it was so loud inside there, you couldn’t hear anyone anyway! So happy for you that you had fun. Love the sneakers. Good choice. And I agree that one day isn’t enough but three days would be exhausting. Maybe two days?? 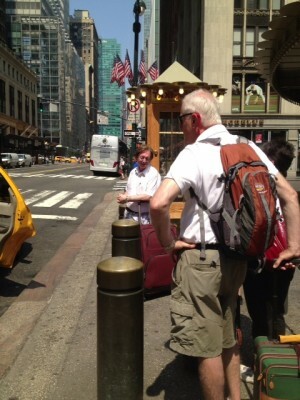 It’s ALWAYS too hot during BEA. They should have it in April. Seriously. I’m dying to read THE TIME FETCH. Oh, I’ll have to check that out and 2 days sounds about right! 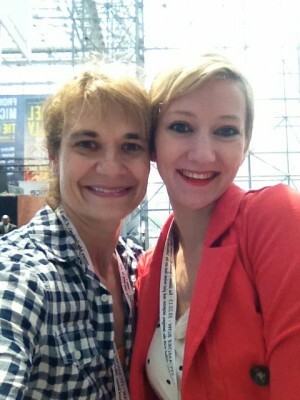 My one day at BEA was great, but I wish I’d been there on Friday to see you! 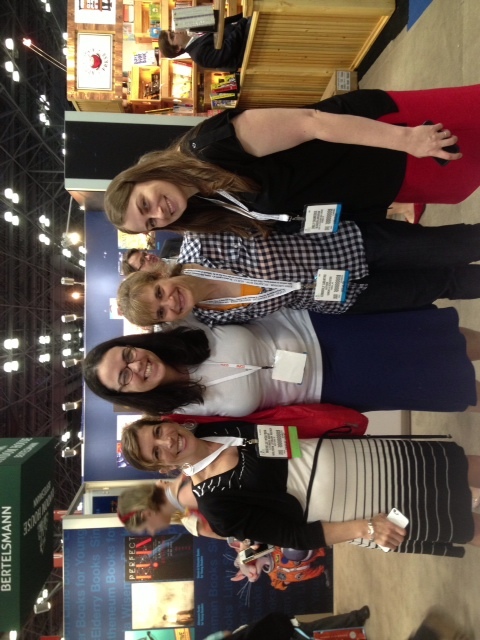 There were two books at BEA that would have made me willing to mug a book blogger: Rose Under Fire and Camp Boyfriend. I really wanted Rose Under Fire, but I also know that I want it on audio for my 12yo so I was less testy about not getting that one LOL!